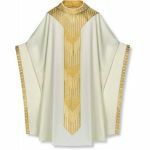 Matching Concelebrant stoles, Deacon stoles and Dalmatics are available for most designs. 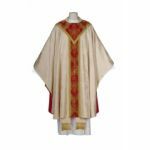 Visit Stoles and Deacon categories. 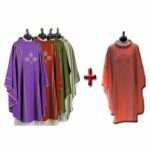 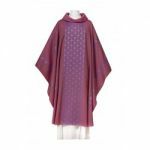 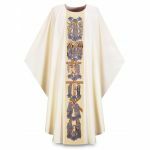 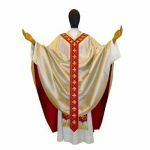 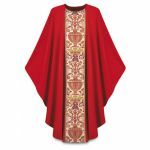 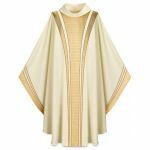 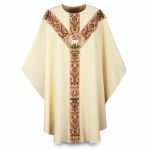 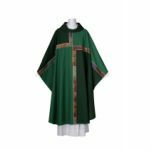 Chasubles come with the choice of open neck or rolled collar.